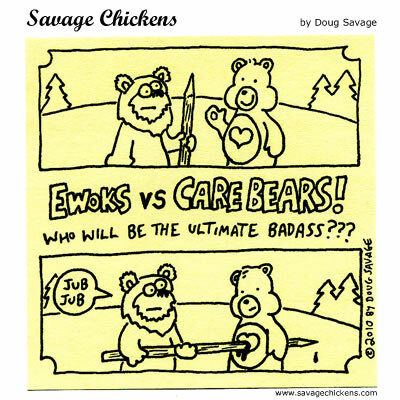 Which Cuddly Creature is Tougher? I found this comic on savagechickens.com. All are drawn on sticky notes, and most feature chickens. This one does not.